A couple of months back, a hacker group that calls itself the Guardians of Peace (GOP) broke into the computers at Sony Pictures and stole over 100 TBs of data of emails, movies, passwords, payroll info and so on. The GOP started leaking Sony’s upcoming movies on torrents, in addition to making terrorist threats, telling the company to cancel the release of “The Interview”, an upcoming movie where Seth Rogen and James Franco assassinate North Korean leader Kim Jong-Un. The report also highlights that Sony had approached Apple about assisting in resurrecting the movie’s launch, but the request was turned down by the Cupertino giant. “It remained unclear, however, whether any on-demand service would take “The Interview.” According to people briefed on the matter, Sony had in recent days asked the White House for help in lining up a single technology partner — Apple, which operates iTunes — but the tech company was not interested, at least not on a speedy time table. An Apple spokesman declined to comment”. 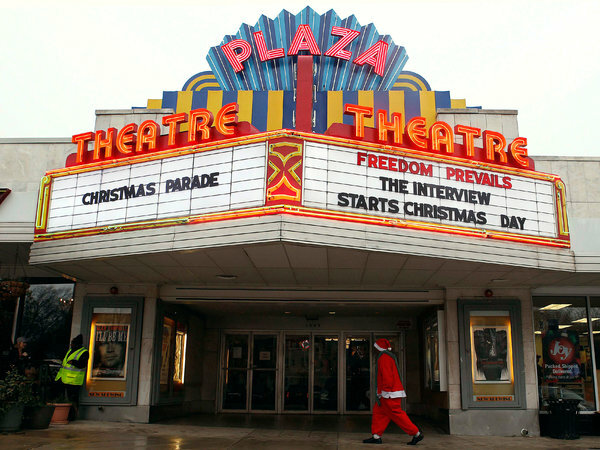 Sony has so far announced the release of “The Interview” in about 200 smaller theaters, including the Plaza in Atlanta and roughly 20 venues operated by Alamo Drafthouse Cinema across the U.S.